These are very common problems with industrial, commercial and residential sites and indeed a growing number of deliveries. The palletised load becomes a headache and it becomes time for the Superheros with their Moffett’s. One of the most versatile delivery options, a Moffett mounted truck sits conveniently at the rear of our trucks. Not impacting on your load space and making offloading a breeze. We’ll arrive on site and be ready to get to work just a few minutes. 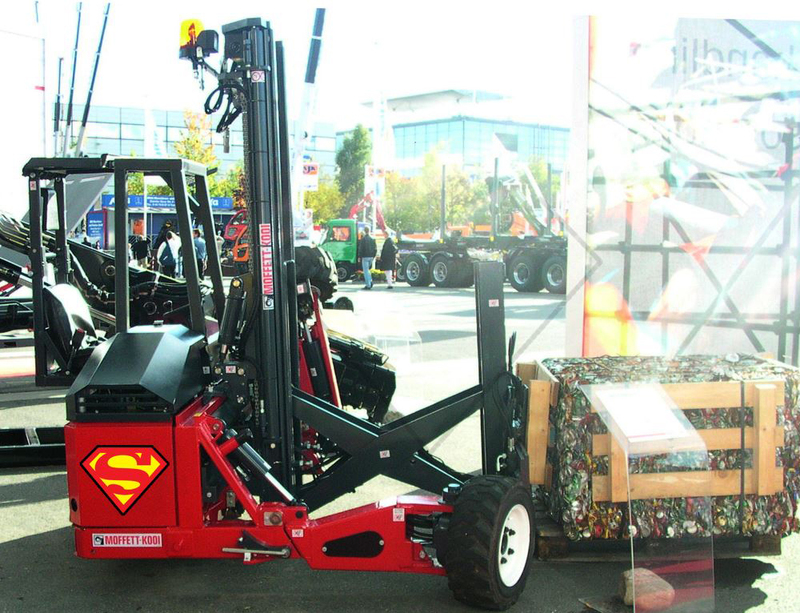 With a “Moffett” (a truck mounted forklift), our drivers can unload cargo without waiting for assistance. We’ve moved countless regular pallets with moffetts forklifts and some others. Glass, sculptures, stillages and much much more. Why not put us to the test for your moffett project. * Image for illustration purposes only. Our current moffetts travel one way and cannot turn the front wheels like the photo.